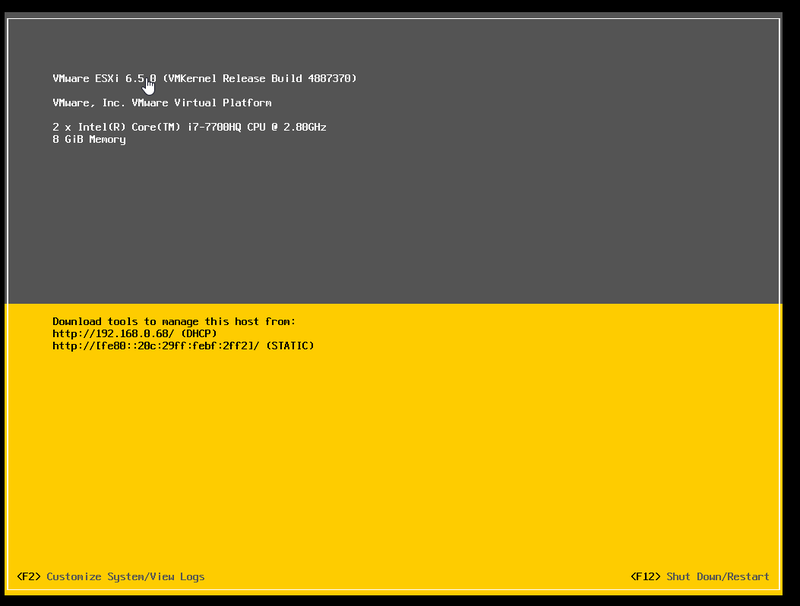 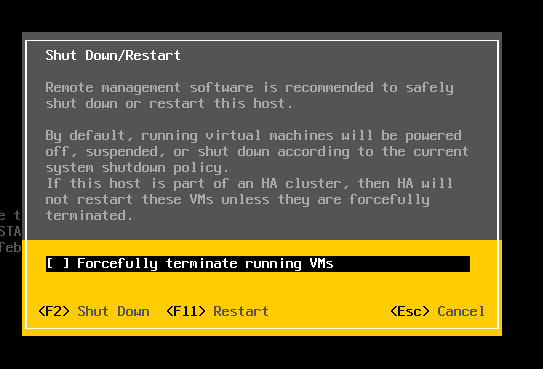 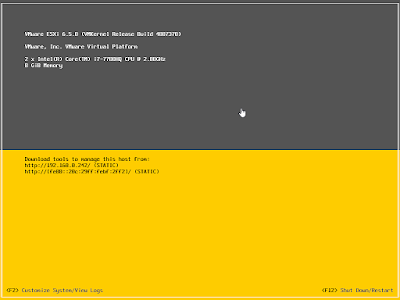 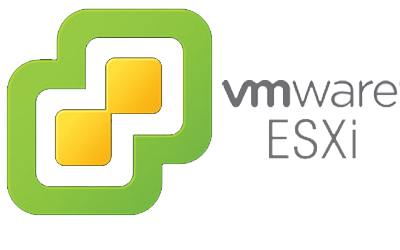 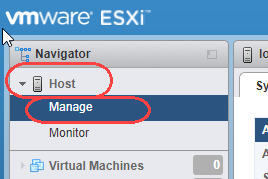 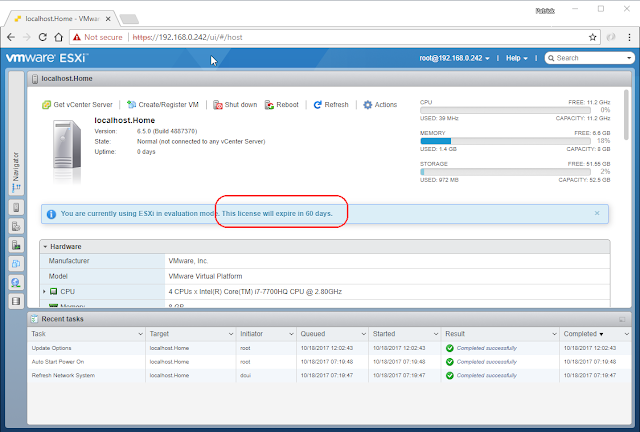 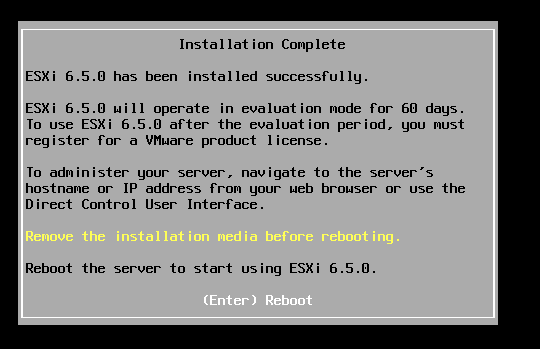 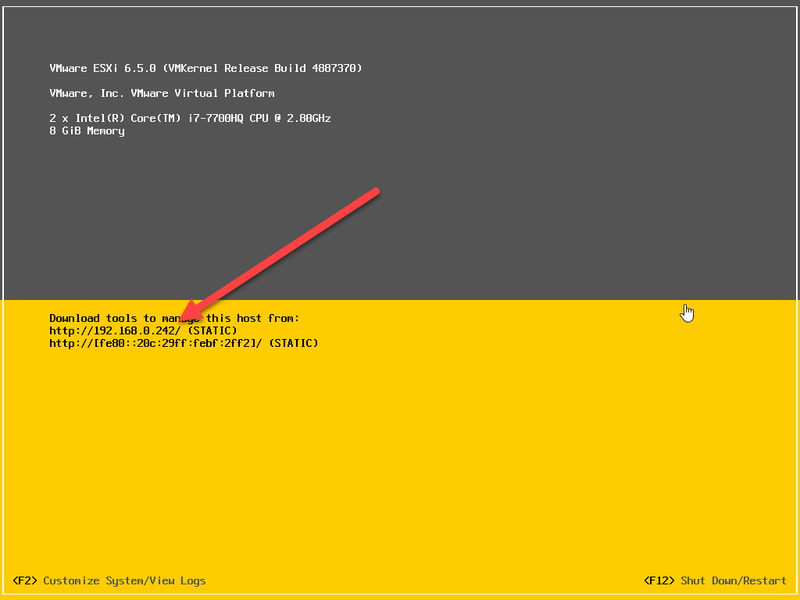 In this article I will be going over how to install ESXi 6.5.0a, obtain the free license key for it and to install the license key. 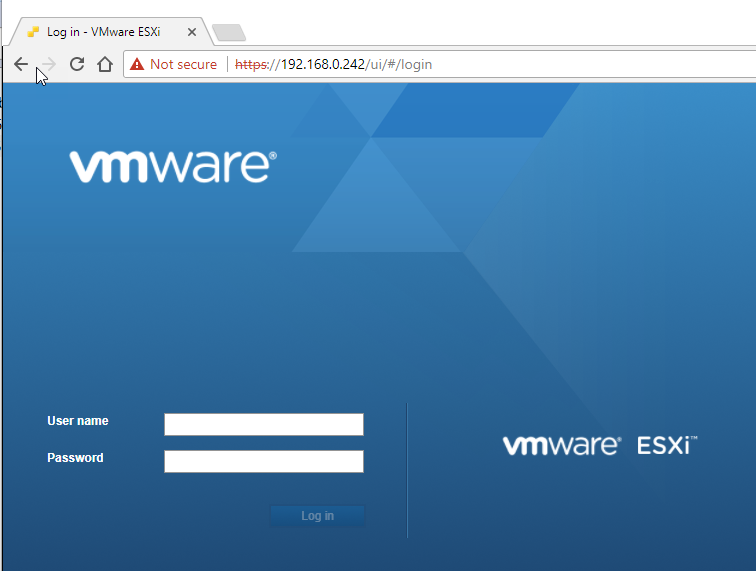 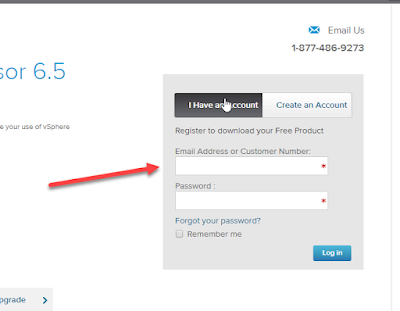 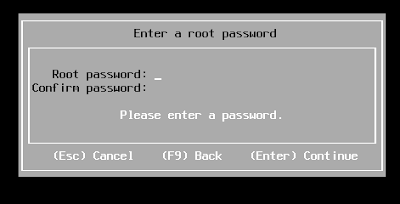 Login with you vmware account or create a new account. 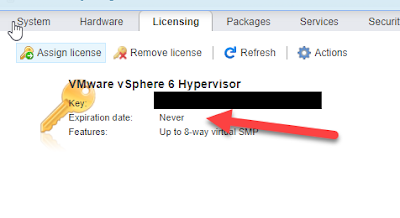 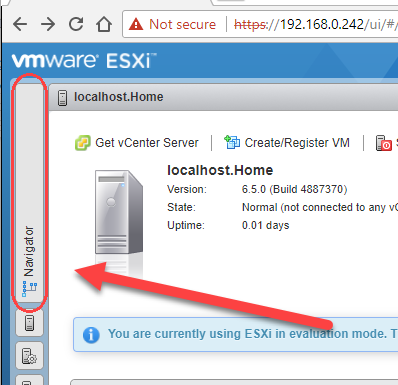 Now right down this license number (this is for the free version of the esxi server and vSphere client). 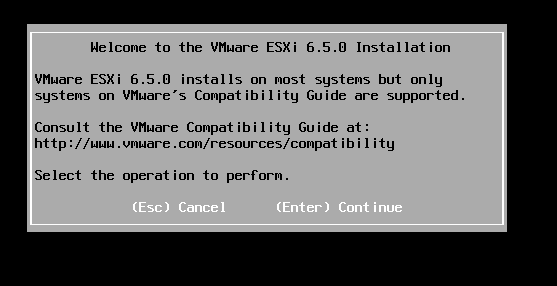 My plan is to just burn this ISO to a CD and use that for a manual install. 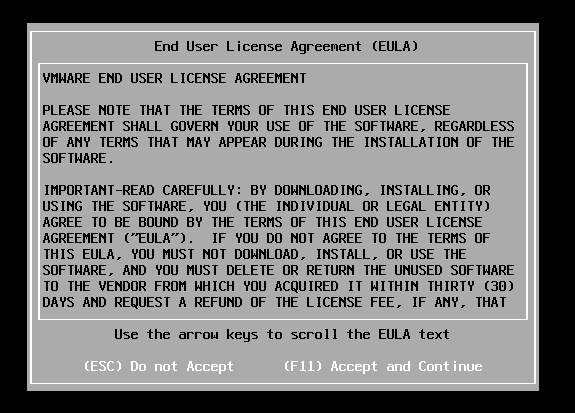 There are methods to put this on a usb stick, but I am not going to be going over that in this document. 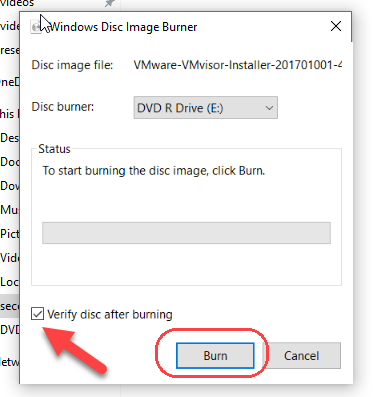 Put in a blank CD and on Win-10 right click on the downloaded iso and select Burn disc to image. 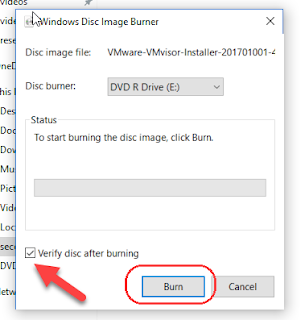 Checkbox the verify disc after burning and then click burn. 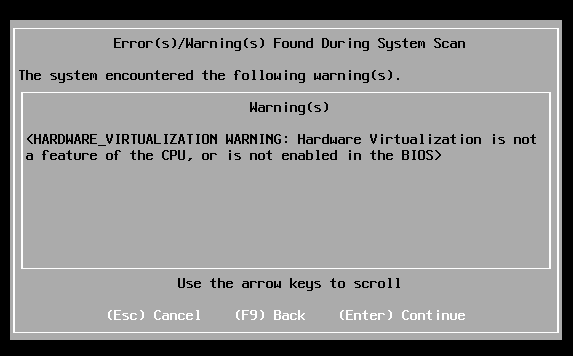 After the machine starts up you should see this screen. Select which drive to install on and click enter. 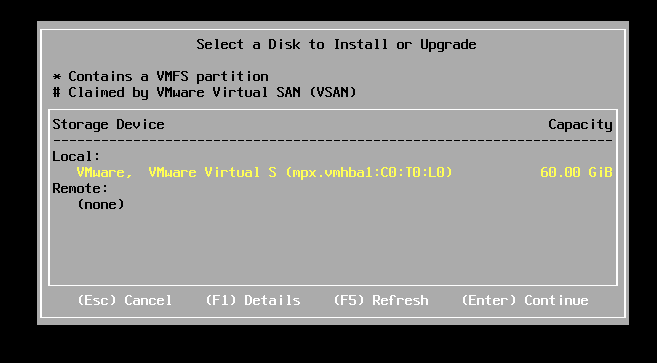 Now wait for the install. 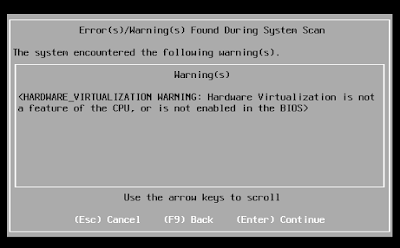 After a reboot you will see this. 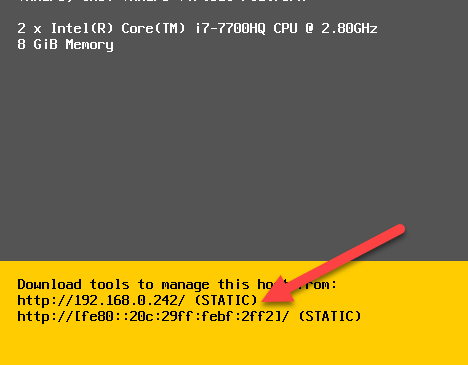 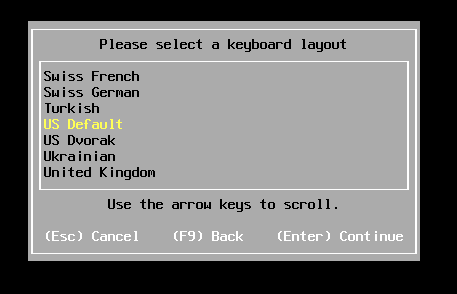 Click on F2 to customize… I am going to set a static IP address for this machine. 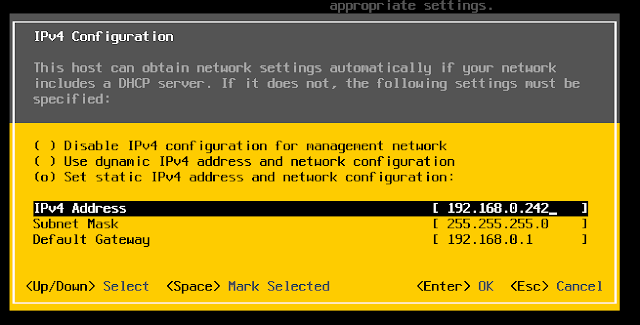 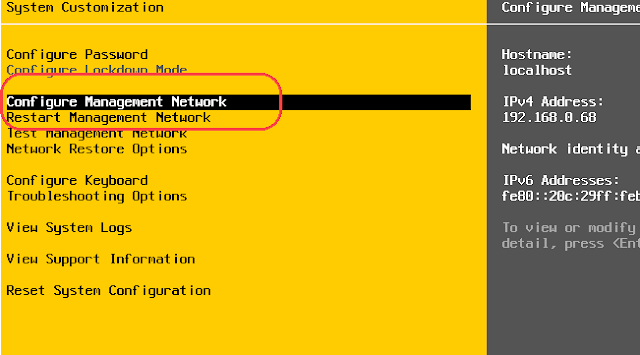 Checkbox the "Set Static IP IPv4 address" by pressing the space bar. Set the IP address to what you want it to be. In my case I set it to 192.168.0.242 Then press enter. 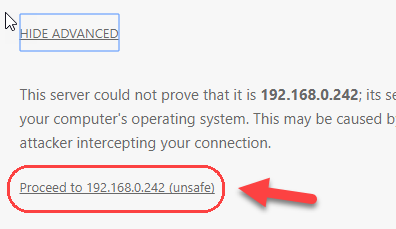 From here you can see the IP address has been updated. Wait for the restart to take place. After a reboot it all looks good. 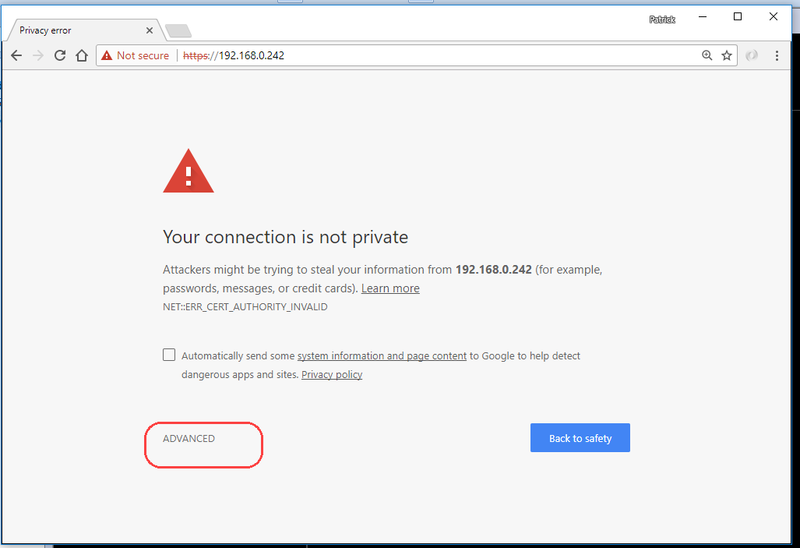 Open up a web browser on a system it will immediately forward you to https version of the site. You will see this interface and the note that the license will expire in 60 days. Click License then Assign License. 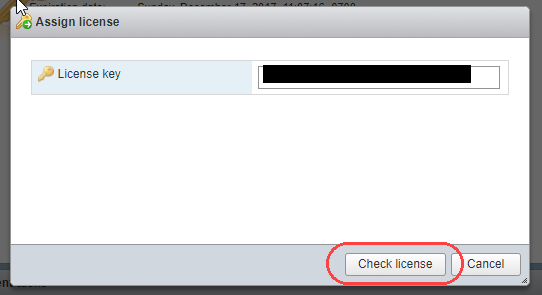 Enter your license and click Check License. If its valid you should get this checkmark. 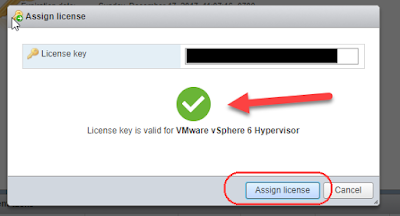 Now click the Assign License button.